The exhibition will run till 15 April, 2018 at the museum located at 1220 5th Ave & 103rd St., right in museum mile. The exhibition on Ice Skating At Museum of The City of New York will tell you how how ice skating became a part of the culture of New York at its core, having started from its Colonial Dutch and British origins through the likes of Alexander Hamilton, to become a 19th-century craze. Ice skating, as we all know, has gone to being a sport, popular leisure activity and of course, grand spectacle. Ice skating has changed the physical landscape of the city, over the years, according to Whitney Donhauser, Ronay Menschel Director of the Museum. New York on Ice sees skating as entertainment, recreation and sport, through New York city’s history. Over these 160 years, 110 ice skating rinks and ponds across the five boroughs have been a part of the public sentiment, skating rinks that exist outdoors, like the ones in Rockefeller Center, Chelsea Piers’ Sky Rink and City Pavilion in Queens, where skate rentals and gift shops are obligatory. 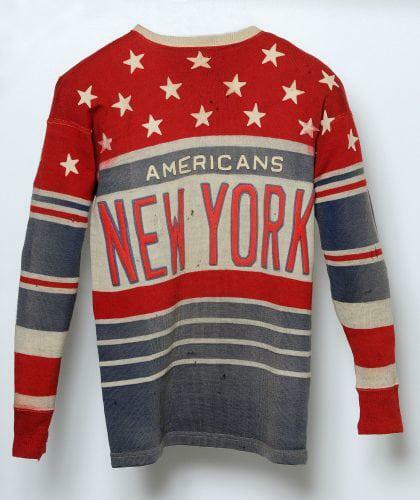 New York on Ice is presented through vintage photographs, skating equipment, lithographs, paintings, and costumes. Together they tell the story of the evolution of ice skating as a city passion and pastime of generations of New Yorkers. Ice Skating At Museum of The City of New York includes mid-19th century paintings and prints of New Yorkers skating in “the new” Central Park from the Museum of the City of New York’s collection; programs from 1930s and 1940s ice spectacles at Rockefeller Center and Madison Square Garden. Also exhibited is the costume Sarah Hughes wore when she won the bronze medal at the 2001 World Figure Skating Championships at just 15 years old and Johnny Weir’s celebrated “Swan” costume from his 2006 Olympic program. Visitors will also learn the story of Charlotte Oelschlagel, the German skating phenom who helped launch an ice performance craze after appearing in a lavish ice ballet in the stage show Hip-Hip- Hooray! at the New York Hippodrome in 1915. New Yorkers Take to the Ice is the first section at the museum, which takes visitors through the history of the first skating rink at Central Park in 1858 – soon open to public sessions. These rinks were also open for women for recreation, a rarity at the time. In a few years, other frozen ponds became makeshift ice rinks for more people to skate. 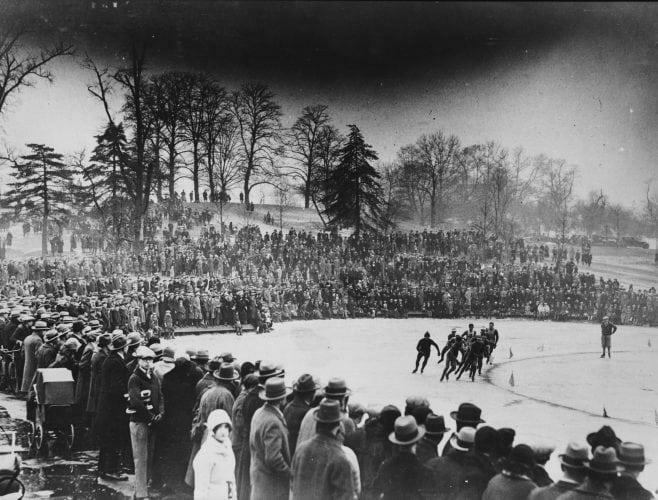 For the artists of the era, ice skating was a “metaphor for urban democracy and social freedom”. 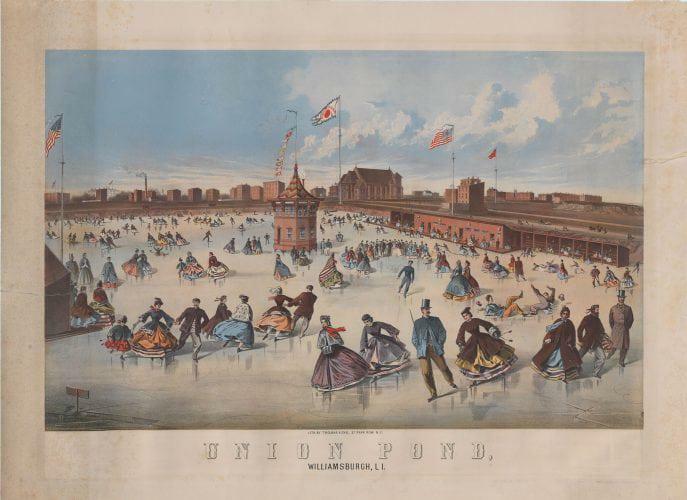 Even as Union and Confederate armies engaged in war and bloodshed in the Civil war, New Yorkers on ice were depicted as a peaceful and harmonious civic community at play. A City of Ice is the second section, which throws light on skating becoming a commercially viable recreation. The result was the building of skating rinks both indoors and outdoors - the indoor ones being anywhere from rooftops to shops, in New York City. 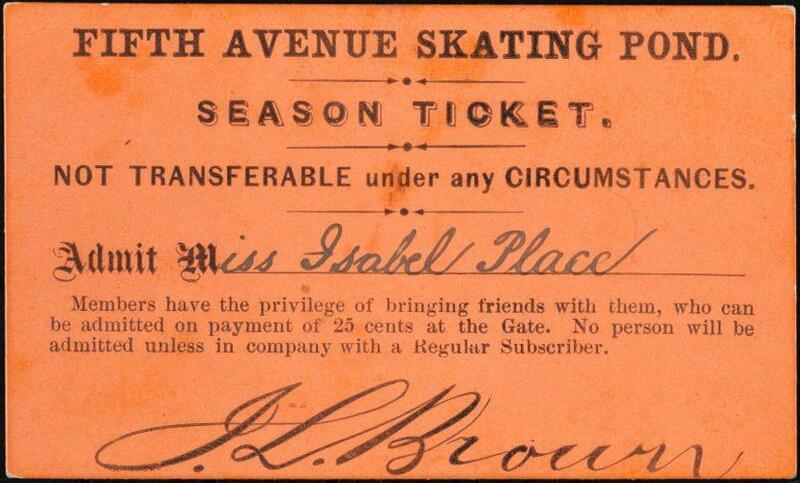 New York’s skating scene included the St. Nicholas Rink on West 66th Street (1896), the Ice Palace on Lexington Avenue (1895), a succession of three rinks called “Iceland” in the West 50s (1916, 1922, 1925); the Brooklyn Ice Palace (1917); and, one of the most famous skating spots in the world, the rink at Rockefeller Center, which has the most popular ice skating rink today, supported the commercialization of skating all the way back in 1936. 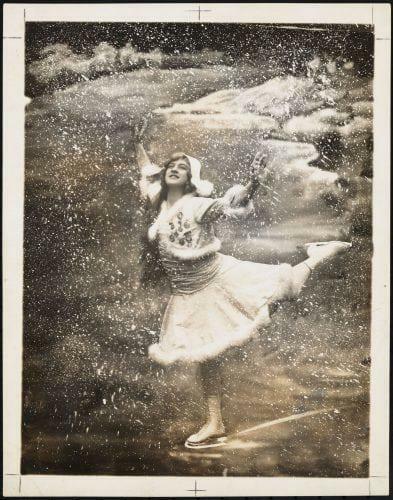 It was also the beginning of “ice shows,” where audiences paid to see skilled ice skaters in elaborate revues. Skating for the People, the third section walks visitors down the time when governments started taking keen interest in skating and the public, with the Bureau of Recreation organizing the first ever ‘Winter Sports Carnival,’ which expanded to the parks across five boroughs. Additional rinks were built in the following years, under the aegis of the government and philanthropists – which by the 21st century had already become popular go-to spaces. In the 20th century, Parks Commissioner Robert Moses, during his 36-year tenure (1929–65), made improvements to existing rinks and lakes in city parks. He got philanthropists to help build four additional year-round public skating venues: the Ice (and Roller) Rink in a former World’s Fair building in Queens (1941); Wollman Rink in Central Park (1949); Wollman Rink in Prospect Park (1961); and Central Park’s Lasker Rink (1966). In the 21st century, the city resumed the creation and refurbishing of rinks in partnership with private developers and philanthropists. 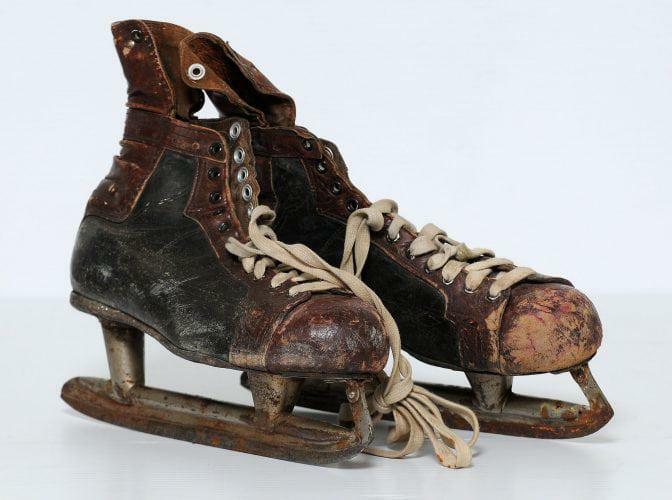 New York Ice Champions, the final section of the exhibition in the museum of the city, focuses on ice skating as a competitive sport – an indulgence as early as the sports presence in the city itself. The exhibit begins with Jackson Haines’ balletic style of hockey, (which earned him the title of “father of modern figure skating”), to the Madison Square Garden. By this time, thanks to media, training, facilities and popularity, the city of New York had become a world center for competitive sport. The section also celebrates the wins of the natives from the five boroughs. Today, competitive skaters are recognized and trained by clubs and leagues, to make ice skating diverse and accessible. Figure Skating in Harlem, Ice Hockey in Harlem and All Girl Hockey Team Central Park Lady Hawks, are some of the more popular ones. Founded in 1923 as a private, nonprofit corporation, the Museum of the City of New York celebrates and interprets the city, educating the public about its distinctive character, especially its heritage of diversity, opportunity, and perpetual transformation.You can get more information on Ice Skating At Museum of The City of New York and the museum at www.mcny.org. Wherever you may be in New York State, be sure to look for businesses in The New York State Tourism Directory.